? 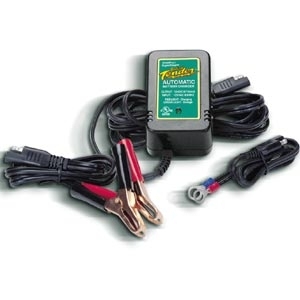 Fully automatic two-stage lead-acid battery charger.
? Perfect for all lead-acid, sealed maintenance free, gel cell batteries.
? 12 foot output cord.
? Solid state two color LED indicates stage of charger. Ideal for recharging small batteries and maintaining the charge on batteries in long term storage.